Leach Stop is an invisible, protective barrier that helps to prevent architectural precast, GFRC, concrete and natural stone surfaces from leaching minerals onto adjacent glass and metal surfaces which causes stains. This product protects the stone surfaces from water penetration. This product is designed for high-performance building restoration and preservation applications. Leach Stop Carries a 10 Year Warranty. This product is an invisible, film-forming, UV-resilient, breathable, penetrating sealer. It is designed to penetrate the surface and react with the silica within the stone, expanding and filling microscopic cracks and crevices in the material to create a long-lasting repellency to oil, water and waterborne stains. The primary function of this product is to help prevent precast from leaching minerals onto adjacent glass and metal frames in multi-story buildings with flush-mounted windows. This product is created from a proprietary blend of partially inorganic polymers, and therefore will not degrade like inferior, conventional stone sealers. Conventional sealers leach degrading materials from the surfaces on which they are applied. Furthermore, Leach Stop protects surfaces from water erosion, which contributes to stains when minerals are carried down onto architectural surfaces. Surfaces treated with this product can easily be cleaned using Presto’s Green-Kleen® which will not harm the protective treatment nor will it leave behind stain forming residues. Leach Stop should be used after the precast concrete cleaning process to help close the pores of the precast material (while still allowing a breathable surface), in order to prevent the penetration of water, oils and environmental pollutants which act together to create stains. Leach Stop will help keep precast cleaner for longer and help to protect from water damage, therefore, prolonging the life of the material. LeachStop was designed for use on precast, concrete and natural architectural stone. LeachStop can be used for horizontal and vertical surfaces. Horizontal surfaces may need reapplication sooner than vertical surfaces. Complete all caulking and surrounding construction substrate applications prior to using this product. Newly installed stone or grout must be allowed to cure before application. Protect against personal contact with this and all chemical products. Always test in a small, inconspicuous area prior to use. Ensure the stone is completely clean and free from all dirt, staining and biological growth using any of Presto’s stone cleaning products. Make sure to thoroughly rinse the material to ensure no cleaning product is left behind on the surface prior to sealing. Any cleaning product left on the surface can interfere with the protective coating. Never apply to a damp or wet surface. Do not apply at below freezing temperatures. Protect any unintended areas. Use a low-pressure sprayer, roller, brush, sponge or lambs wool applicator. Product may also be back rolled. Do not dilute; apply full strength. Apply product to create an even coat on the surface. Allow product to saturate surface. Do not allow product to pool on the surface and dry, or protection will be uneven and a residue may form. Remove excess material with a rag or towel. A second coat may be needed for porous, absorbent surfaces or for superior protection. Subsequent coats should be applied in the same manner as the first while the initial application is drying. Never apply a second coat if two coats were not tested and approved prior to use. Protection will start to begin immediately after product dries on the surface. Cure time for maximum water and stain protection is 24-72 hours. Protect surface from contact with water for at least 48 hours. Application rates, concentration, temperature and humidity can impact dry and cure time. For ongoing maintenance of the protected surface, we recommend the use of Green-Kleen diluted 10 to 1 with water, preferably heated deionized water. Apply the diluted product to the surface. Allow to sit for one or two minutes and scrub with a soft bristle if necessary to remove build up. Then gently rinse the surface clean with low pressure. For exterior vertical surfaces, we recommend cleaning the surface every 2-3 years in order to retain a clean appearance and preserve the previous restoration. High pressure is not needed and may damage the surface coating or weaken its performance. This maintenance cleaning is not mandatory to ensure the coating will last as stated in the warranty and is only a recommendation. To prevent the need for frequent pressure washing - Precast protected with Leach Stop stays cleaner longer, and resists staining and discoloration. 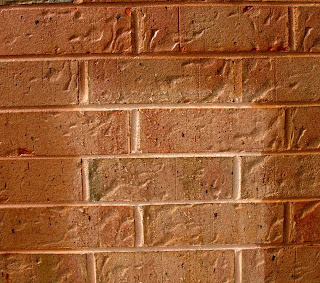 Each pressure washing or chemical cleaning process erodes the precast material changing the surface forever. Use pressure and chemicals once and protect it with Leach Stop to prevent the need to clean the precast again for many years to come. To guard adjacent materials from mineral leaching - Excess minerals leach from precast onto architectural glass, metal, and other materials where mineral stains form relatively quickly. Protecting your precast keeps adjacent windows and metal frames looking cleaner for longer. To prevent oil, water, and stain penetration - Many types of soils can adhere to stone surfaces and are transmitted through water penetration, keep the water out, keep the stains out. To prevent mold, mildew and algae stains - Protected precast prevents the penetration of water. Without water, biological stains are unable to develop as they normally would. To avoid water damage - If water is allowed to penetrate your precast, it starts to erode the bond that holds the stone together. This is especially damaging during winter months as water freezes and expands, compromising the strength and bond of the manufactured composition. This causes cracks, and even separation of material components, and is extremely expensive to repair. Water damage starts at the surface level, therefore requiring a product designed for superior surface protection which Leach Stop has. To cut down on your buildings exterior maintenance costs. Fewer cleaning and restoration services needed for your precast, glass and metal surfaces means a better bottom line for your property.